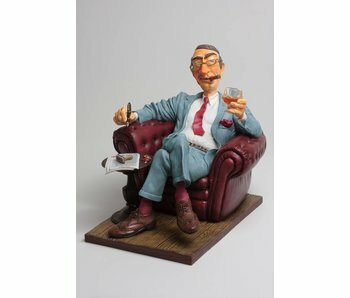 A collection of figures and scenes that resemble the world of comic strip and cartoon characters. They are typically unusual and humorous subjects, always handled with humor and finesse and given a soul. 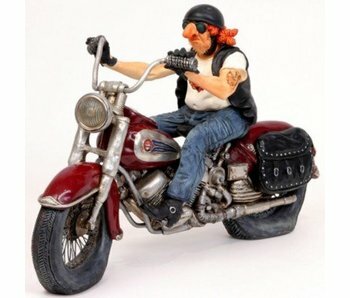 Caricature statue The motorcyclist, emphasising characteristics of people or professions in a comical way. 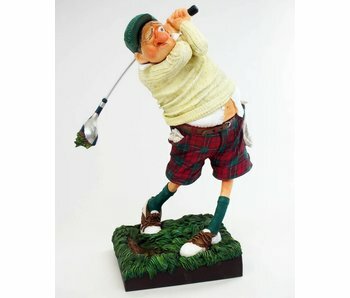 Caricature statue of the golfer, in which the characteristic features of this type are enlarged in a comical manner. Caricature of The little Jewel - Fiat 500, in which the characteristic features of this type are enlarged in a comical way. 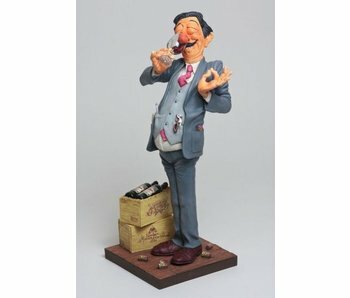 Caricature of The Wine taster, in which the characteristic features of this type are enlarged in a comical way. Caricature of The Big Boss in which the characteristic features of this type are enlarged in a comical way. 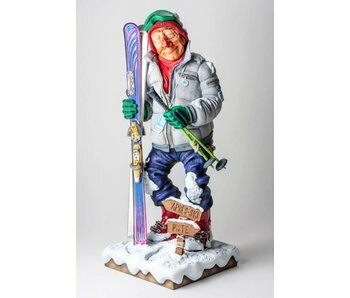 Forchino character statue of a skier, in which the characteristics of this type are highlighted in a comical way. 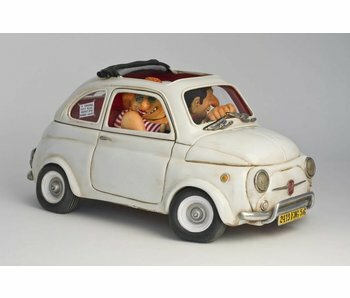 Figures and scenes that resemble the world of comic strip and cartoon characters. They are typically unusual and humorous subjects, always handled with humor and finesse and given a soul. Think of an upcoming anniversary, a farewell, a new hobby, the memory of a car, a holiday, a new phase of life or a profession. There is a relevant Guillermo Forchino design for almost every situation. The figurines famous world-wide and of very good quality. This can be seen in both the detailing, finishing and presentation. They are a great gift for special occasion.